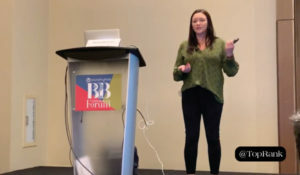 Events like MarketingProfs B2B Forum are always looking for established marketers or up-and-coming subject matter experts to take the stage and share their learnings with attendees. 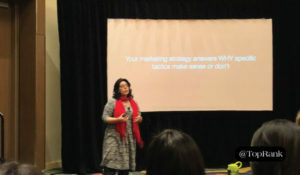 This year, TopRank Marketing CEO Lee Odden hosted a panel on the confluence equation featuring some of the top minds in B2B influencer marketing which included Konstanze Alex from Dell (client), Amisha Gandhi from SAP (client) and Luciana Moran from Dun & Bradstreet. Publishing content (in many forms) is a great way to retain and share the information you gather at these events. And let’s face it, after a few days of learning, it can be easy to forget. Whether you’re creating video, audio or static content that is long-form, short-form or in-between; content creation is a must! 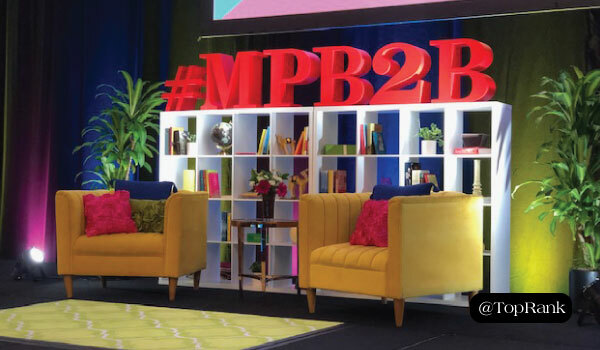 Below you’ll find some of our event coverage from MPB2B. Many of us work in a business environment where we don’t have the opportunity to connect with our clients or partners in-person very often. Events like this one present a great opportunity to host an evening or afternoon where you can connect some of your favorite customers (and let’s face it, people) together for some great conversation. 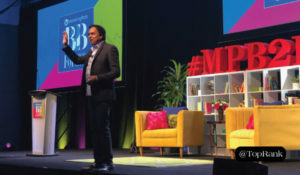 At marketing events, you’ll often find one or many podcasters ready to take advantage of the fact that there are a number of smart marketers on the premises and conduct podcast interviews live. 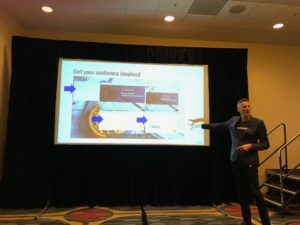 This year, TopRank Marketing CEO Lee Odden joined podcast queen Kerry O’Shea Gorgone for a sit-down interview at the event. 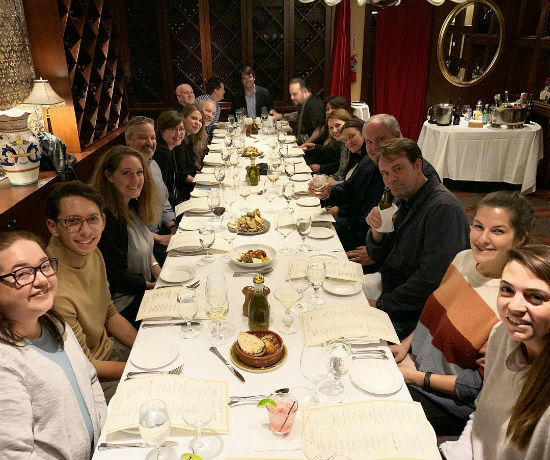 When you’re surrounded by like-minded marketers, it makes for a great opportunity to connect. That can be sitting down during lunch and making new connections, or following along with the conversation on social media. For many marketing events, Chris Penn creates a visualization of the most talked about and engaging brands or people at an event. I’m happy to share that our brand, our CEO and myself were recognizable for each-day of the event because of our desire to connect and be social. You have outdone yourselves again. Each year the conference keeps getting better and better and we are incredibly thankful that we get to be a part of it. See you again next year in Washington DC! If you had a chance to attend the event, PLEASE feel free to share some of your favorite moments below.